San Francisco (Obama.net)- The Republicans in the United States Senate have made it perfectly clear that they want the tax issues in America to be addressed and taken care of as soon as possible. Republicans are so adamant about getting the tax situations out of the way that they have said that they will stand in the way of every single piece of legislature put in front of Congress until the officials elected on November 2nd take office in January. The chief issue at hand is the extension of the Bush era tax cuts. Obama and Democrats do not want the tax cuts extended for those who make $250,000 or more annually, but Republicans are arguing that it would be completely unfair to raise taxes on any Americans while the economy is in the poor condition that it is currently in. Obama and his administration have shown that by not extending the tax cuts for the wealthiest Americans a total of $700 billion would be saved in the next decade. While the amount won’t exactly fix the economic problems in the United States, it will provide a big improvement. The letter sent to Reid, which was also signed by all 42 Republican Senators, said that even if issues of great importance arise, they will not bend and will maintain their stance until the highly “critical issues of funding the government and preventing a job-killing tax hike” are taken care of. Only 30 days remain for Congress to make a decision on who to extend the tax cuts for or if to extend them at all for anyone before they simply expire as the year ends at the end of the month. 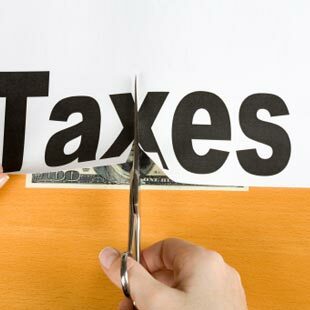 Wednesday, the discussions on what to do about the taxes began. Democrats in House of Representatives said on Wednesday that on Thursday they would hold a vote to extend Obama’s version of the extensions. With only a matter of weeks until the Republicans take over the majority in the House and take away from the Democratic majority in the Senate, Democrats are now in overdrive in terms of getting things done to benefit the middle class while they still can.